Ecobooks: Binding books, binding spells, and printing on paper with plants. 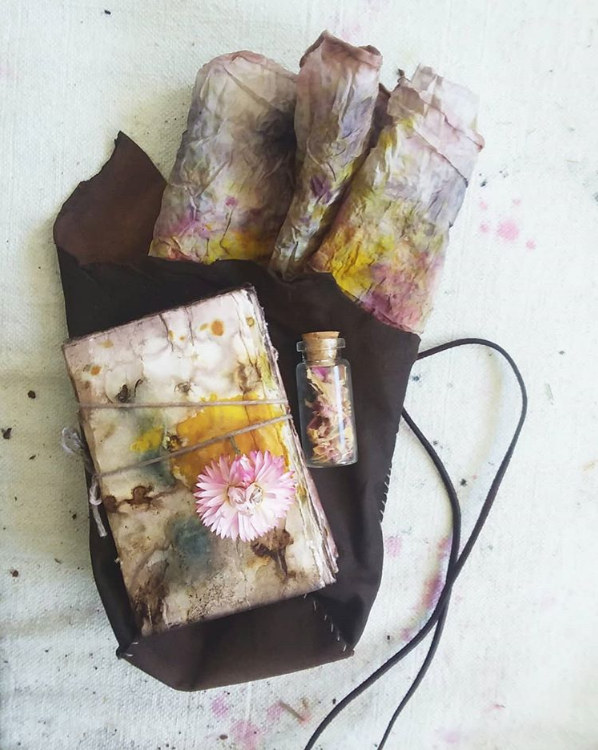 In this workshop we will be extracting texture and color from plants through several techniques of a process called eco printing. We will also explore simple folding techniques to make our own pocket sized books out of freshly printed paper. No experience is needed in order to attend. Eco printing involves heating water and plants in conjunction with natural fibers, resulting in whimsical patterns. This relatively new process is about taking the fiber world to new explorations. There is no right way to go about it and everyone will have their own technique that works for them. Experimentation is at the heart of the practice which you may find is very addictive! Hosted by The Fiberhouse Collective.